Supreme Court justices need secret service protection now more than ever. The Left would like to remove Justices Kavanaugh and Thomas. Their goal is to gain control of the Court using any means necessary. On October 6, the day of the Senate vote to confirm Judge Brett Kavanaugh’s nomination to the U.S. Supreme Court, Charlie Savage, writing for The New York Times, discussed liberal strategies for gaining control of the Court. One idea is to regain control of the of the government in 2020 and have a liberal president increase the number of Supreme Court justices to create a liberal majority. Another scheme is to find a means to “impeach, remove and replace Justice Kavanaugh,” as well as Justice Thomas. Currently, there is a petition with over 47,000 signatures to impeach Thomas. In the past, opportunities to fill Supreme Court seats depended on the death or retirement of a justice. The Left is not content to wait for normal vacancies to occur. Pinning their hopes on regaining power sooner rather than in the distant future, liberals are working overtime to come up with a workable scheme after the failure of the last one, which hinged on destroying the reputation and life of a privileged white male named Brett Kavanaugh. On October 8, the day after Justice Kavanaugh was sworn in, former Secretary of State and failed 2016 presidential candidate Hillary Clinton gave a CNN interview with Christine Amanpour in which she criticized President Trump, the process that led to Kavanaugh’s confirmation, and issued a call for the foot troops of her political party to engage in incivility. Clinton declared: “You cannot be civil with a political party that wants to destroy what you stand for, what you care about.” What the Left cares about is abortion and the future of Roe v. Wade. Within hours of the 50-48 vote confirming Judge Kavanaugh, Samantha Ness, a special education teacher in Minnesota, posted a tweet that read: “So whose (sic) gonna take one for the team and kill Kavanaugh?” Ness, who was placed on paid administrative leave, has resigned since her tweet became public. During the Kavanaugh hearings, we heard Cory Booker, a U.S. senator, refer to accuser Christine Blasey Ford’s “truth” and how we were not to question her account of an undocumented, uncorroborated and unverifiable charge meant to destroy a man’s life. We heard another Democrat senator, Hirono, argue that Judge Kavanaugh was not entitled to the presumption of innocence, a bedrock principle that has undergirded our nation. We also watched as the Democrat senators discounted the exculpatory findings of the seventh FBI investigation of Judge Kavanaugh. No apologies, just more stoking the fires of political unrest to incite foul play from the weak-minded. Words can inspire violence. The threats against Justice Kavanaugh and his family that continue beyond his confirmation brings to mind Max Allan Collins’ Supreme Justice, a 2014 fictional account of the assassinations of two conservative U.S. Supreme Court Justices appointed by a far-right president. The assassin is a man who is angry because the conservative justices have overturned the sacred cow of Roe v. Wade, strengthened the Patriot Act, and seem bent on weakening the First Amendment. The lead investigator is a liberal, retired secret service agent who figures out that the murders are about changing the balance of power on the Court so the incumbent liberal Democrat now serving as president can appoint like-minded justices before his term ends. An effort to kill a third conservative is thwarted by good law enforcement and increased security around the surviving justices. In today’s hate-filled environment, our Supreme Court Justices need federal protection. Many of us remain unsettled by the unexpected death of Justice Antonio Scalia, the handling of his body, and the lack of a real investigation. We now know a lot about the deep state and the level of dysfunction in the Obama Justice Department. We know from the handling of Justice Scalia’s death and the lives of justices, that Supreme Court justices lack real security. Given the war against conservatives, it is critical for President Trump and Congress to allocate funds for real protection for U.S. Supreme Court justices. 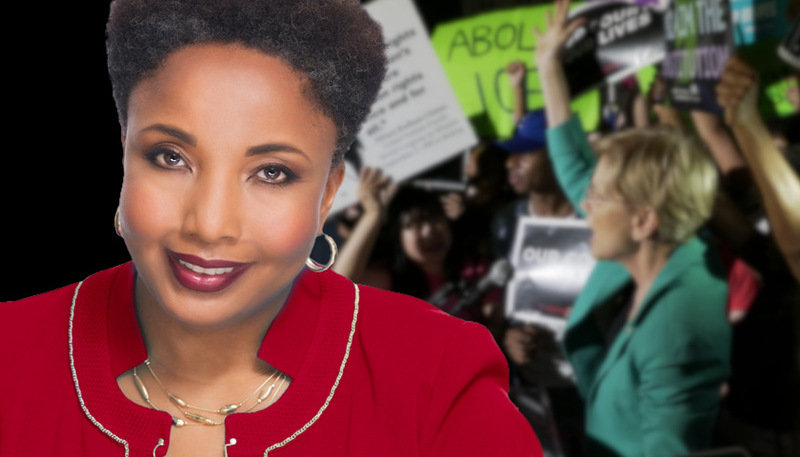 Carol M. Swain is a former professor of political science and law at Vanderbilt University. Her most recent book is “Debating Immigration: Second Edition” (2018).